Scouter Stamps was the publisher of the Official Stamp Album of the Boy Scouts of America (BSA). These albums were manufactured under contract with the BSA. 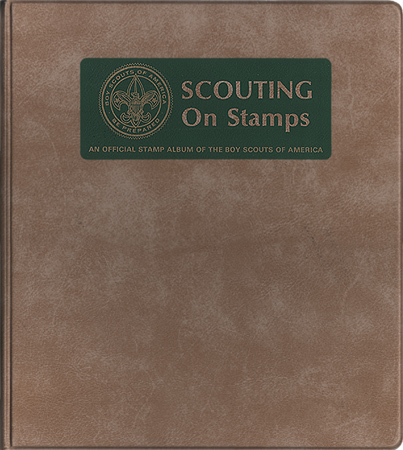 Each page contained the emblem of the BSA and full size pictures of each Scout stamp or postal stationary. 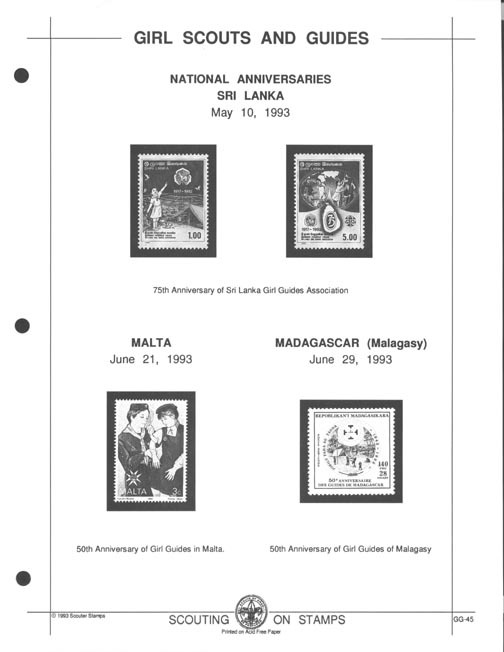 Separate pages were produced for the Girl Scouts and Guides. Initially, the Scotts Catalog number was printed just below the frame for each stamp. 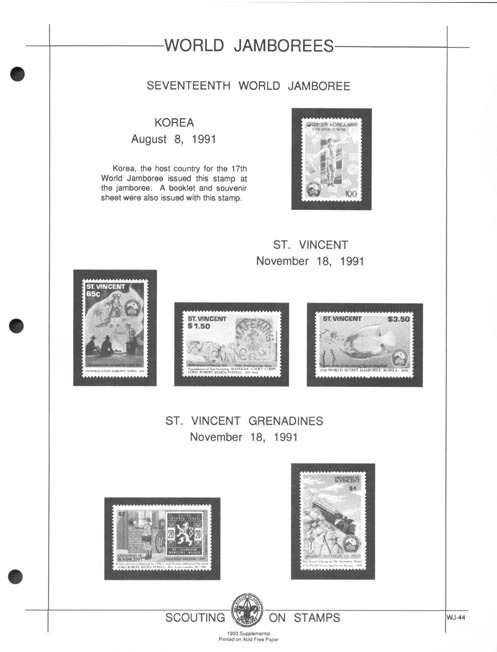 Due to the high royality required and the significant number of catalog changes made by Scott Publishing, catalog numbers were eliminated in 1993. The contract with BSA ended in 2006, all album products with the BSA logo were discontinued. Regrettably, Scouter Stamps is no longer in business. 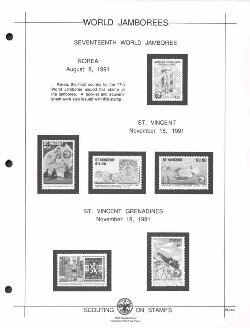 We are deeply indebted to SOSSI member Alan D. Bechard, owner of Scouter Stamps, for permitting us to publish his set of album pages. The work of identifying new issues, collecting their pictures, determining the issue date and working with the Scott cataloguers who have an entirely different time schedule when assigning catalog numbers, in order to design and publish pages is a significant addition to our Scout Stamp reference materials.